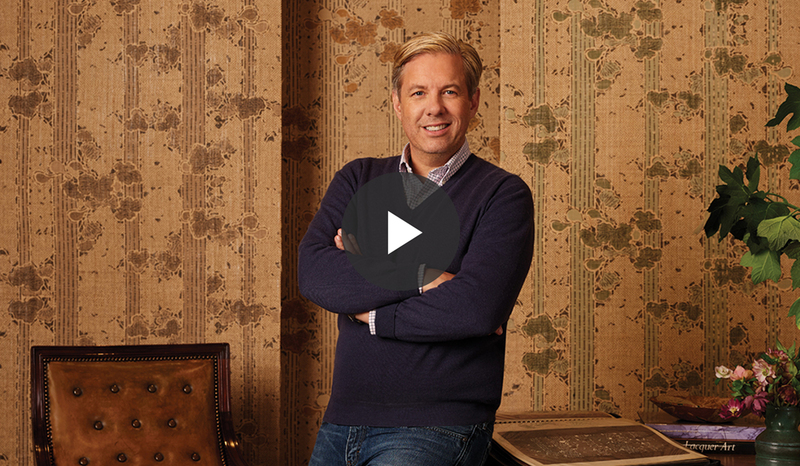 FEBRUARY 2019 (PORTLAND, OR) - HARTMANN&FORBES is proud to announce the launch of a new collection of sustainable windowcoverings and wallcoverings from renowned designer Michael S Smith. The collection of seven distinct designs launches in showrooms February 19, 2019, and represents the award winning brand’s inaugural designer collaboration. The line showcases Smith’s reverence for the past viewed through a modern eye, and blends natural sustainable fibers with a striking assortment of colors, patterns and textures. The line includes handwoven windowcoverings of metallic strands, meticulous, decorative weaving and elegant Sashiko-type stitching. Especially designed to complement the windowcovering collection, Smith’s handcrafted wallcoverings are adorned with saturated pigments painted over neutral backgrounds. These designs are inspired by antique, hand-carved abaca stencils, architectural lattice screens, and artistic Japanese imagery. PORTLAND, ORE – March 6, 2018 - HARTMANN&FORBES, award-winning maker of fine handcrafted windowcoverings, wallcoverings and textiles of sustainable natural materials is pleased to announce its 20th Anniversary New Arrivals including 17 Woven-to-Size designs in 44 colorways. Hartmann&Forbes began with a passion for designing and weaving unique textiles of sustainable fibers. Through its journey, it has challenged existing standards with its innovative textures and handwoven artistry. The company is expanding the already largest handwoven natural shade collection in the industry, accompanied by a growing selection of natural wallcoverings and fabrics. The new Rhythm series is an artisanal textile inspired by indigenous music tradition and its melodic essence. Handwoven using original foot-treadle looms, this process creates pattern compositions that add a vibe of tribal heritage to an interior space. Offering subtle variegated stripes in nature’s hues, the Tarbaret series creates a harmonious mix of status and pedigree. The Essence series tells a simple and pure narrative with its sophisticated colorways, providing universal appeal with its refined beauty and lightweight design. These two weaves coordinate well together with a unity of pattern and simplicity. The Earthen series offers a complex textural identity that is exotic, yet modern. This new design is handwoven with the hearty organic root fiber of vetiver, possessing a warm woodsy scent. Soliciting an interplay between light and fiber, the new Interlace series possesses an innovative yarn-warp structure with gauze-like ramie fibers that candle incidental light in a graceful dramatic dance. “In this anniversary collection, we have integrated our vision of innovative design with age-old techniques, combining natural elements with the patterns and colorways of historical cultures. Each weave is a representation of our continuous aim to advance the ordinary,” says Rebecca Welch, director of product development. PORTLAND, ORE – January 31, 2018 - HARTMANN&FORBES, award-winning maker of fine handcrafted windowcoverings, wallcoverings and textiles of sustainable natural materials announces a new partnership with the Primavera Interior Furnishings showroom in Toronto, Canada.This relationship will bring further global expansion to Hartmann&Forbes’ designer market. “We are excited to be adding such a talented, gracious and supportive partner to our International Showroom Distribution,” states Dee Cornett, Hartmann&Forbes’ director of business development. 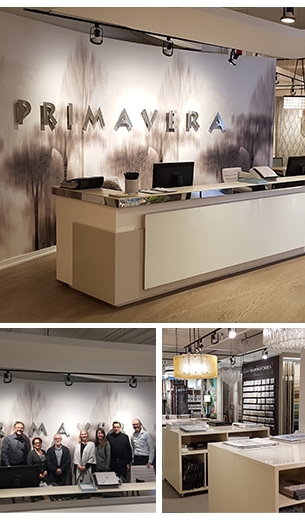 Working in the interior design community for 46 years, Primavera Interior Furnishings has grown to become one of the premier trade resources in all of Canada.Their showroom of 10,000 square feet displays the finest selection of fabrics, furniture, lighting, leather, carpets and drapery from around the world. 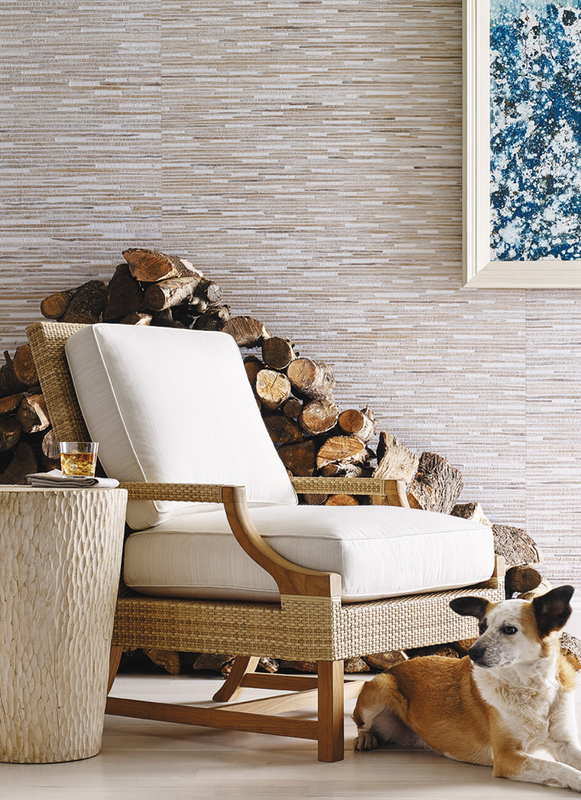 Hartmann&Forbes adds its natural windowcoverings, wallcoverings and textiles to this extensive collection. “Our collaboration with Primavera is a celebratory milestone to our 20th anniversary. In our journey, Hartmann&Forbes has continuously challenged and advanced the standard with our innovative textures and handwoven artistry. Our unique designs will be well represented by Primavera, with their values of elegance, quality and style,” said Michael Jones, Hartmann&Forbes’ founder. Hartmann&Forbes, named one of the 100 Best Green Workplaces in Oregon for five consecutive years, was established with the goal of delighting interior designers worldwide by handcrafting natural home furnishings of distinction. They do this with innovative designs, uncompromising quality and exceptional delivery and service. With designs Inspired by nature’s raw beauty and artisanal workmanship that utilizing traditional handweaving and crafting methods, their award-winning windowcoverings, wallcoverings and textiles are made of unique best-of-class natural fibers that are sustainably cultivated in well-managed ecosystems. Hartmann&Forbes’ products are available exclusively to the trade through a network of U.S. and international showrooms. For more information, visit hartmannforbes.com. Hartmann&Forbes, ® award-winning maker of handcrafted, natural windowcoverings, wallcoverings and textiles, is pleased to announce the addition of sixteen new textural designs to its signature Woven-to-Size Grassweave and Papyrusweave® windowcovering collections for Fall 2017. Beauty and contrast exist at the surface of the natural world, creating varied textures held in natural harmony. As in nature, texture provides interest, balance and beauty to an interior space. This fall, Hartmann&Forbes presents an intermix of both traditional and new weaving techniques with intricate detailing including delicate braids, inlaid fibers and patterned weaves. Contemporary in color and design, these new texture-rich weaves add elegant layers that captivate and set a mood of restful sanctuary. 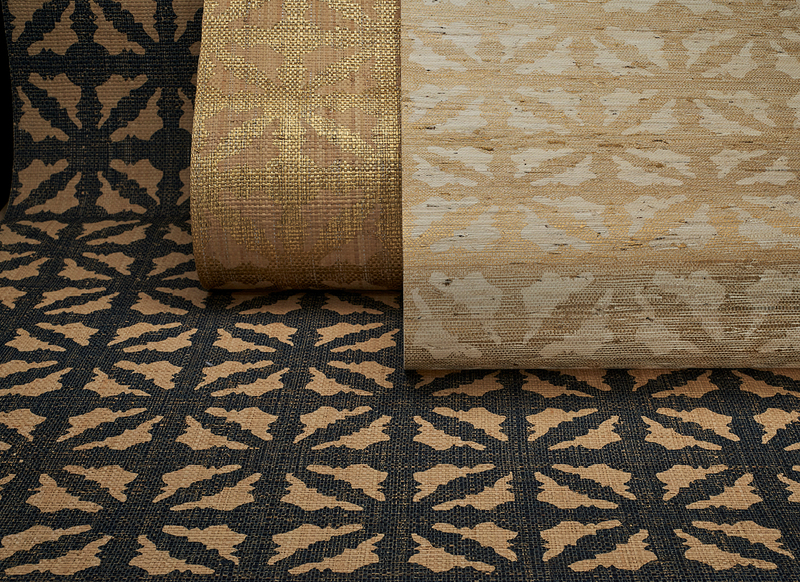 Inspired by Southwestern weaving, Mesa’s palm and ramie fibers, in modern earth-tones, mingle with hand-placed water hyacinth strips in a tapestry-like design. Interbraid presents intricately hand-woven ramie braids in pale grey and golden wheat which delicately rise above a finely woven field, creating a gentle horizontal pattern of natural restfulness. Artisans masterfully guide shuttles wound with handspun ramie, in variegated thicknesses, through a composition of colored threads to achieve Tartan’s haberdashery-inspired pattern. Reminiscent of Japanese screens, Tranquility is an open framework of line and space created using two different colored pulp-weft fibers in combination with stylized warp threading for a refined, modern statement. HARTMANN&FORBES, named one of the 100 Best Green Workplaces in Oregon for four consecutive years, was established with the goal of delighting interior designers worldwide by handcrafting natural home furnishings of distinction. They do this with innovative designs, uncompromising quality and exceptional delivery and service. With designs Inspired by nature’s raw beauty and artisanal workmanship that utilizing traditional handweaving and crafting methods, their award-winning windowcoverings, wallcoverings and textiles are made of unique best-of-class natural fibers that are sustainably cultivated in well-managed ecosystems. HARTMANN&FORBES’ products are available exclusively to the trade through a network of U.S. and international showrooms. For more information, visit hartmannforbes.com. For a full press kit or more information please contact us at hfmarketing@hartmannforbes.com. Hartmann&Forbes,® custom maker of handcrafted windowcoverings, wallcoverings and textiles of sustainable natural materials, announces the release of the Rainfall series, including four natural woven-to-size windowcoverings and the Cathedral series, offering six handcrafted natural wallcoverings. Shimmering raindrops are the inspiration for the Rainfall series. To create a pleasant variance, softly reflective metallic and colored threads dance with white ramie weft fibers in harmonious, handwoven choreography. 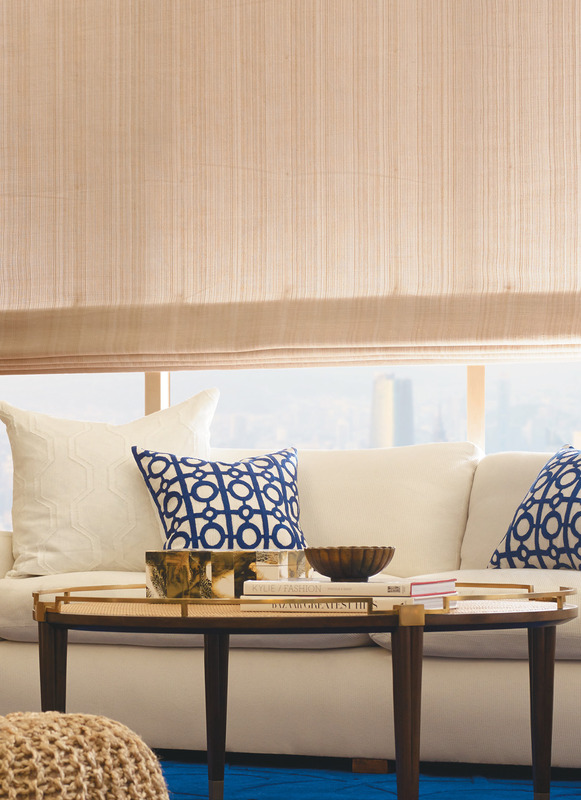 These custom woven-to-size shade and drapery styles are available in seamless widths up to 180," perfect for covering large modern window expanses. 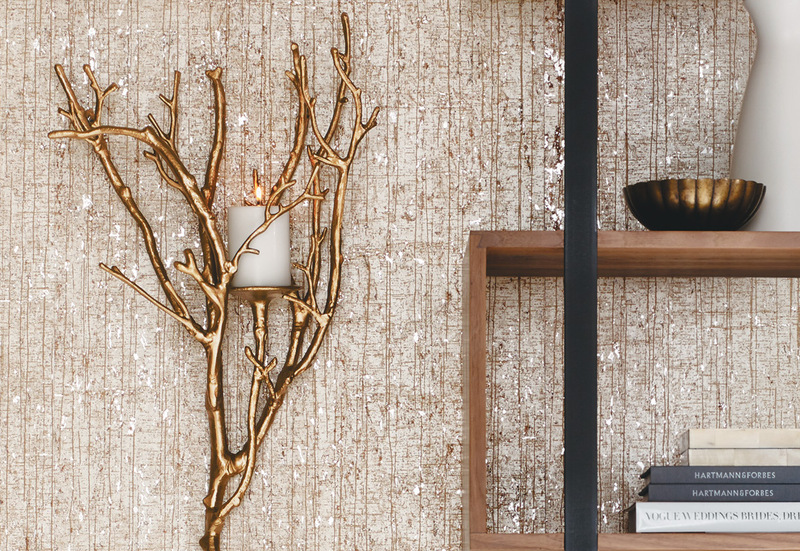 Resembling the glossy bark of rain-soaked Aspens in the Cathedral region of the Colorado mountains, this innovative design is created with hand-sliced cork skillfully placed on metallic-backed paper, then printed with a design inspired by winter woodlands. The meticulous hand process results in a lasting artisanal impression. These natural wallcoverings are available in 8 yard rolls, 36" wide, and harmonize perfectly with the new Rainfall series. The reflective characteristics of the designs acknowledge the winter season, embracing the natural beauty offered during this contemplative season,” said Hartmann&Forbes’ in-house Designer and Director of Product Development, Rebecca Welch. Further, she states that “These new products are exquisitely matched to enhance one another, and bring an austere simplicity to any interior, all year long. Hartmann&Forbes,® maker of handcrafted natural windowcoverings, wallcoverings and textiles, recently released 54 new products for 2016 to complement their extensive collections of natural products. 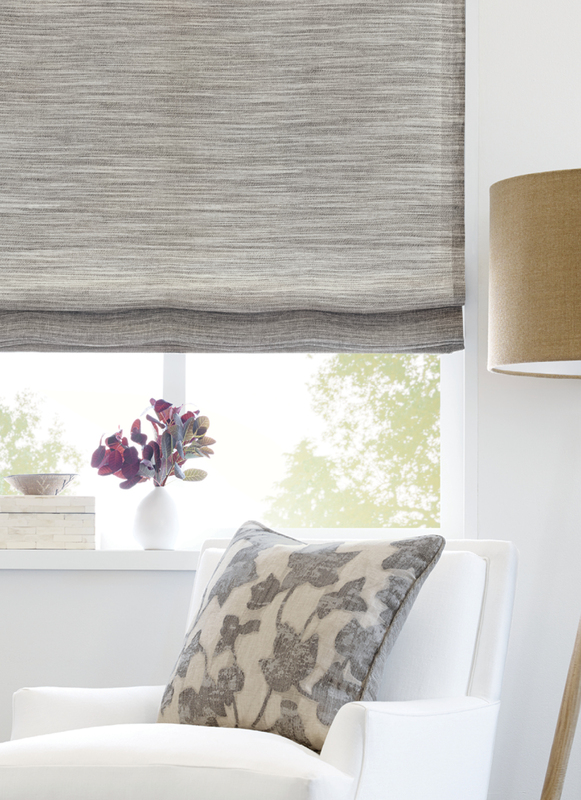 After months of design experimentation and discovery, newly launched products include 19 additions to their hallmark collection of woven-to-size windowcoverings. 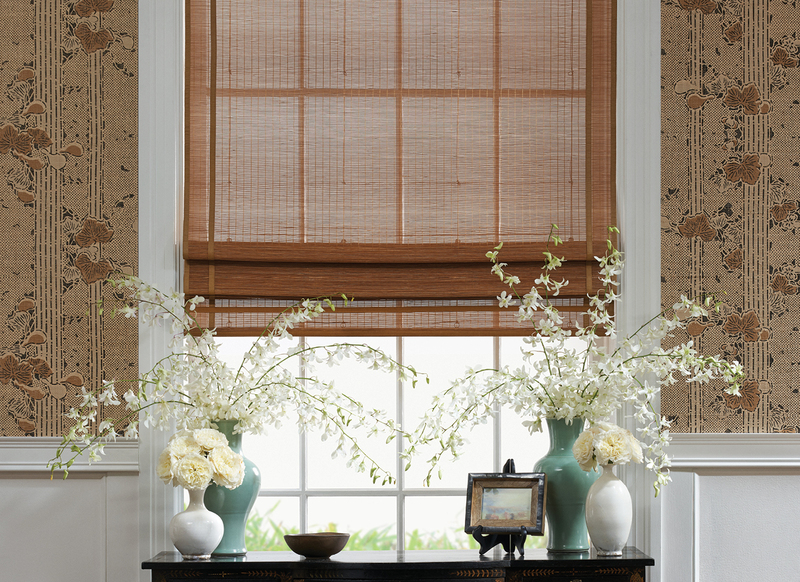 Customized up to a width of 180”, Hartmann&Forbes’ grassweaves are produced from sustainable, blended fibers and precisely crafted to create heirloom-quality, handwoven artisanal shades. Along with the new series, stunning new colorways have been added to enhance the designs of existing windowcoverings. Featuring the company’s renowned “loom-finished” edge is a new series called Crosshatch, a chic interpretation of chambray fabric woven with palm fibers and Italian-inspired spun yarn. Also recently added to the Glisten series is an exciting new design called Aura. Its delicate accent of silvery filaments infuses this weave with metallic that sparkles under incandescent lighting. 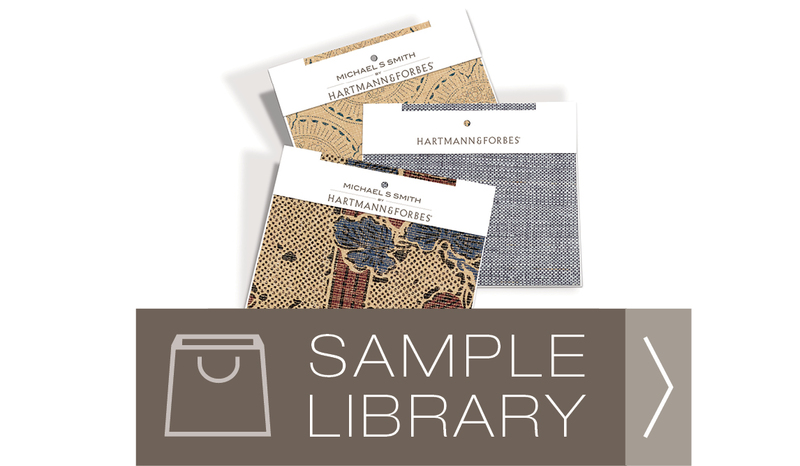 Each of Hartmann&Forbes’ natural windowcoverings, wallcoverings and textiles are available exclusively to the trade through the company’s network of U.S. and international showrooms. Hartmann&Forbes,® maker of handcrafted natural windowcoverings, wallcoverings and textiles, recently released 54 new products for 2016 to complement their extensive collections of natural products. Among them, are natural fabrics displaying a contemporary mix of patterns, textures and tones. Of the 11 new natural fabrics being added to their collection, eight have earned the prestigious Masters of Linen certification—a guarantee of linen 100% Made in Europe; a registered trademark and seal of excellence for both the trade and the consumer. Practicing old-world techniques, fibers are meticulously loomed to showcase a fresh translation of textural classics. Included are Hartmann&Forbes’ new Weathered and Arboretum series. The Arboretum series’ leaf motif captures an elegant, contemporary flair offered in both a soft grey and subtle bronze. The design also provides interior designers with a creative option by offering a unique reversible alternative. 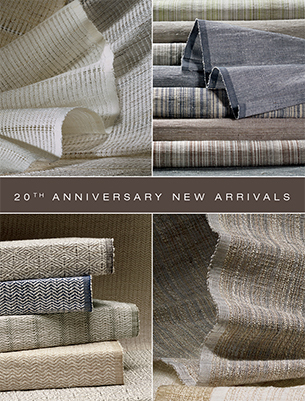 Also newly unveiled are two new series: Cords, fabric designs featuring tufted cords artistically embroidered onto a heavy linen ground; and Ribbed, sheer linen that brings casual chic with its raised pinstripe pattern in two serene colorways. HARTMANN&FORBES, named one of Oregon’s Top 100 Green Companies, exists to inspire and delight interior designers and their clients by handcrafting natural home furnishings of distinction. They do this with innovative designs, uncompromising quality and exceptional delivery and service. HARTMANN&FORBES award-winning windowcoverings, wallcoverings and textiles are made of renewable natural materials that are sustainably cultivated and harvested. Each is custom finished to Interior Designers’ precise specifications in either their Oregon or Utah finishing facilities.